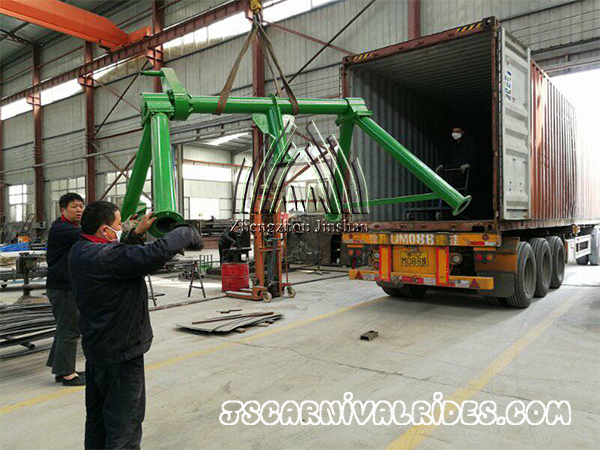 In February, Tanzania customer ordered some carnival rides which included flying car, mechanical bull ride, self control plane, mini pendulum, disco tagada, motor racing car and so on. 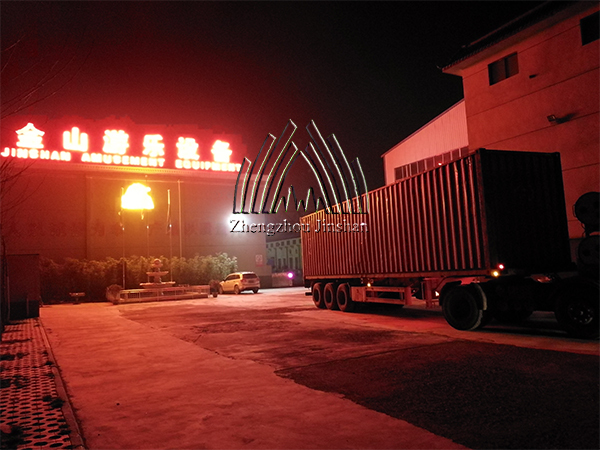 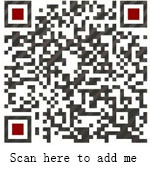 And this month, all the production were completed, last night, we arranged to load immediately after the container trucks reached our factory. 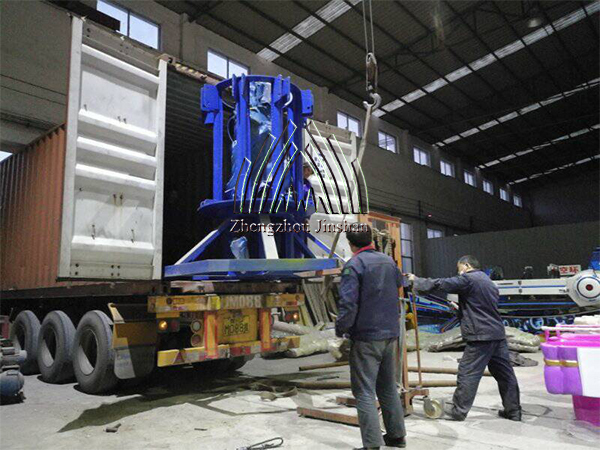 The workers are loading the amusement equipment. 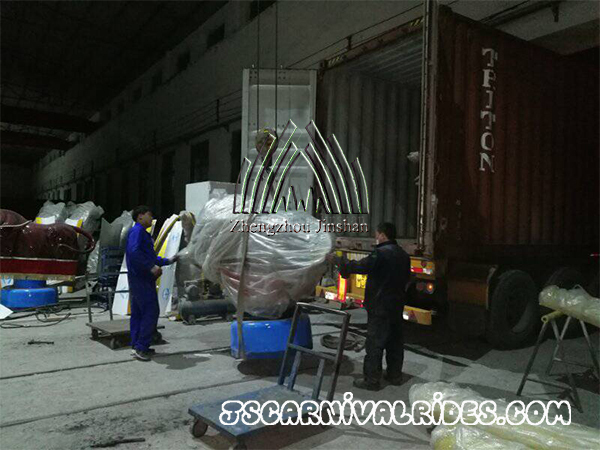 After loading all the equipment, the container truck drove to the sea port.